Research Collections: This is a restricted facility. Only authorized personnel will be allowed to enter the Collections Facility. Entry will be by access-card only. This applies to NCBS personnel including faculty members. Visitors to the Research Collections will have to be approved in advance by the Facility In-charge and /or Facility Advisory Committee. All the visitors must sign a user agreement and a Copyright Declaration Form (Appendix II) and pay the bench fees before entering the Research Collections. If the visitors are depositing materials in the Research Collections, a separate Specimen/Item Deposition Form (Appendix III) must be signed in advance, along with submission of copies of relevant research permits or a statement describing why a research permit was not required. Visits must be arranged in consultation with the Facility In-charge at least a month in advance. Access to the specific specimens and other materials deposited in the Research Collections as well as to the equipment therein is also highly restricted. Prior written approval must be obtained from the Facility In-charge for this specific access and use. Field Stations: The Field Stations facility will be open to the public, with certain restrictions. The field stations may be used only for research purposes. The visits must be coordinated with the field station in-charge at least three weeks in advance, and a usage agreement form (Appendix I) must be signed in advance or at arrival at the field station by all the users, including by NCBS personnel. Fees for the use of field stations must be paid in cash before departure from the field station, or a bank transfer should be arranged beforehand. Science Museum: The Science Museum will be open to all visitors during the daily work hours. If a group of more than 10 people wishes to visit the Museum, they are required to arrange the visit at least two days in advance. Schools and other larger groups are required to arrange their visit at least a month in advance. NCBS reserves the right to deny entry and/or to all its research facilities. The decision may be made by the Advisory Committee and/or the Director, NCBS. All appeals in this regard must be directed towards the Director, NCBS. 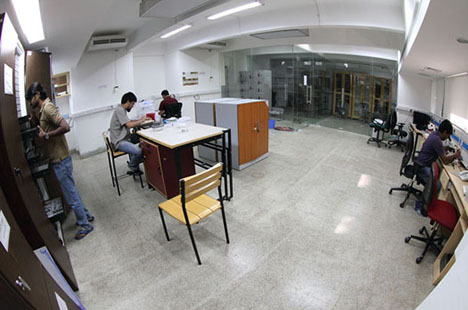 RULES AND REGULATIONS: Rules and regulations pertaining to the NCBS Field Stations, Science Museum and Research Collections must be strictly followed by all users. Additional specific rules and regulations may be provided to the users at the time of granting of the permission of relevant NCBS personnel in charge.